UUPS had a good time giving out information and telling people about the club at the Grand Kerfuffle tabling on the west lawn of the U of U Student Union building on April 22, 2011. President Muad’Dib and member Sarah Cochran relaxed in the shade as students rushed by to class in the noon sun. 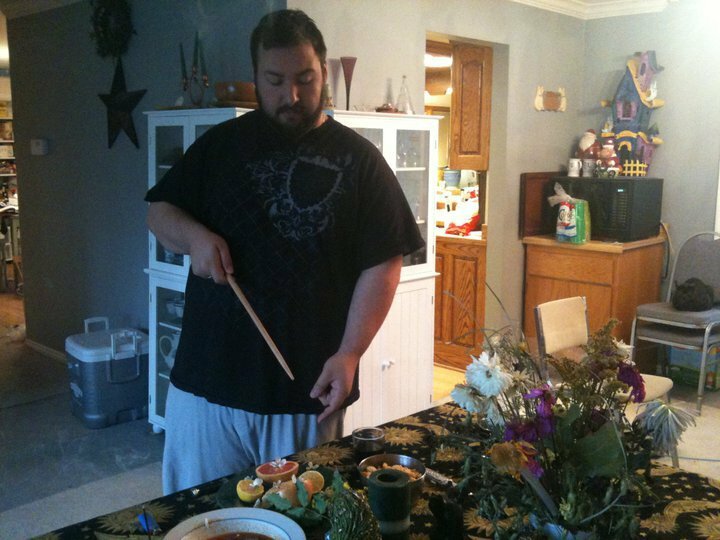 In April 2011, an agreement was reached: Kindred Paths would become a sponsor of the U of U Pagan Society. UUPS is very pleased to have the backing of Salt Lake City’s Finest full service Pagan store. UUPS has no fiscal minimum set to be a sponsor, but welcomes everyone who is interested in becoming one. 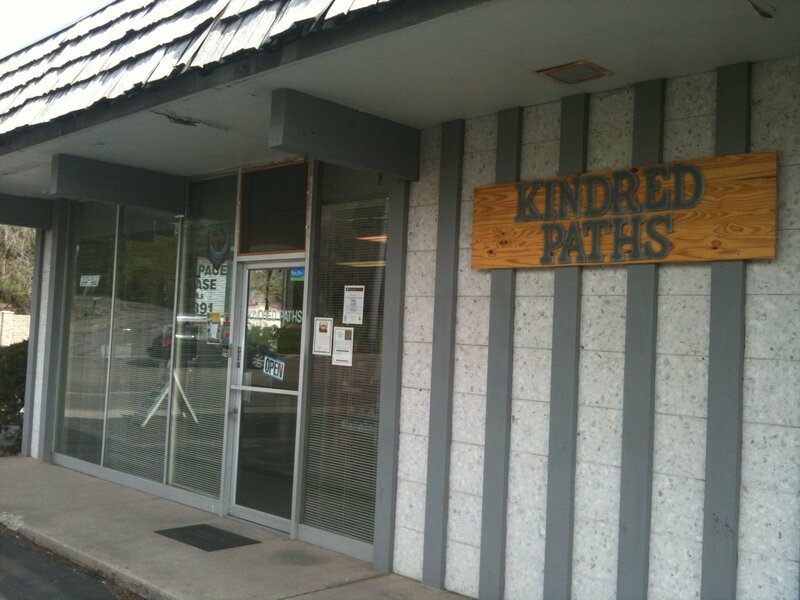 Store front of Kindred Paths on Highland Dr and 3900 S.
A change and evolution. The new moons will now include a drum circle and meditation by smokeless fire! A few members met under the dark shadow of the new moon Monday, April 4, 2011 to celebrate the cycles of Luna and ask guidance for the coming month. Since new moons are about setting goals, the members burned old goals in the fire and set new ones to wax in fruition with the waxing moon. 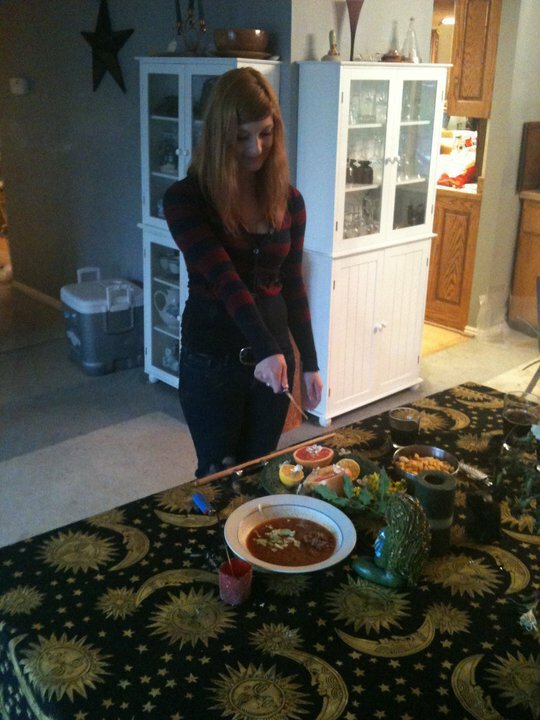 Cookies and juice were the offerings to Luna. Till next we meet!